Sonmez’s lawyer told the state-run Anadolu press agency that police barged into the economist’s home on Sunday morning, arrested him, and took him to a police station in Istanbul. Sonmez, who has also been working as a columnist and a television commentator, was reportedly questioned about several tweets that were critical of the government’s response to the results of the local elections. Sonmez reportedly criticized Erdogan for not recognizing Ekrem Imamoglu as the winner of Istanbul’s mayoral race. The AKP is demanding a recount and possibly a new vote. His lawyer said that Sonmez was interrogated for a few hours and then released. But just because he was let go doesn’t mean he won’t face a legal case in Turkey. 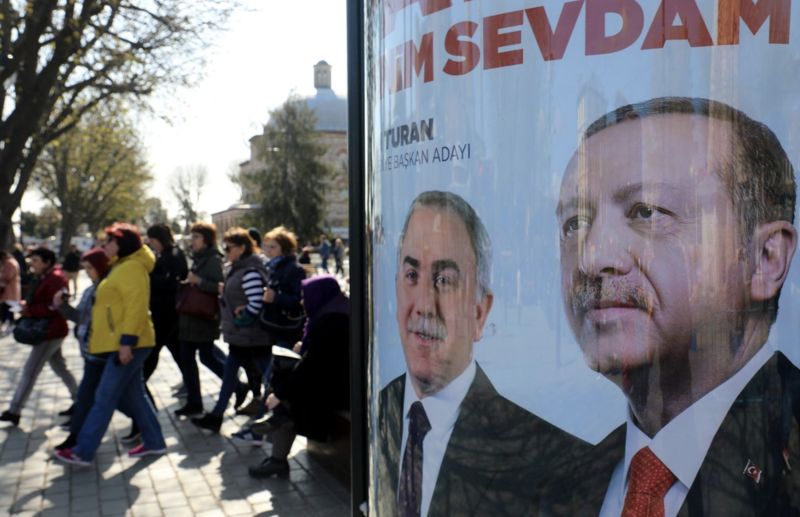 Erdogan has been cracking down on the press and freedom of expression in Turkey since the failed July 2016 coup, when Erdogan began a purge that has ensnared tens of thousands of Turks. Turkish police made headlines in late 2016 for shutting down one critical television outlet in the middle of a live broadcast. He later claimed that it was ridiculous that he was detained for alegedly insulting Erdogan when there’s so much substantive criticism to levy at AKP and its policies. Tutturmuşlar bir CB’na hakaret teranesi. Niye onu gereksiz şeylere harcıyayım? niye hakaret gibi lüzumsuz bir işle vakit kaybedeyim? We imagine that defiant tone will win him plenty of friends in Ankara.